You Probably Won't Get Extra Holidays Next Month Because of the Import Expo. Sorry! 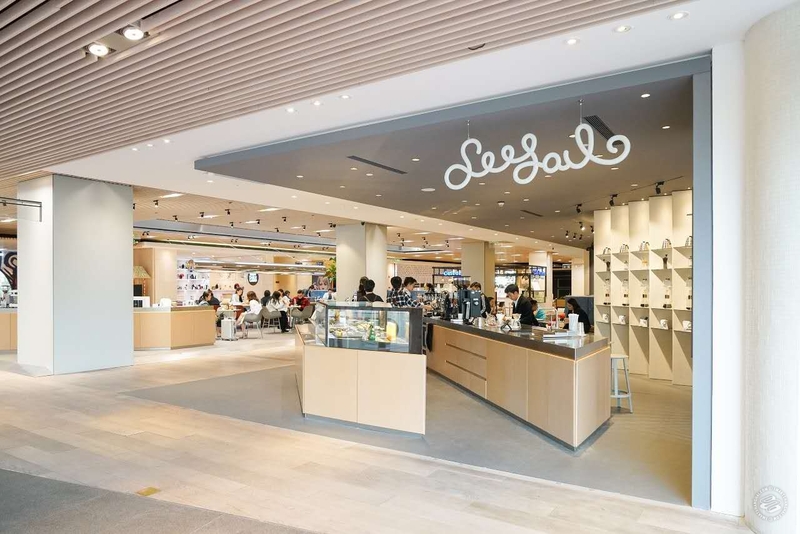 Born on Yuyuan Lu and now backed by 45 million rmb in venture capital, specialty coffee brand Seesaw Coffee plans to grow to 100 stores in the next three years. Tom Zong comes from a business family. 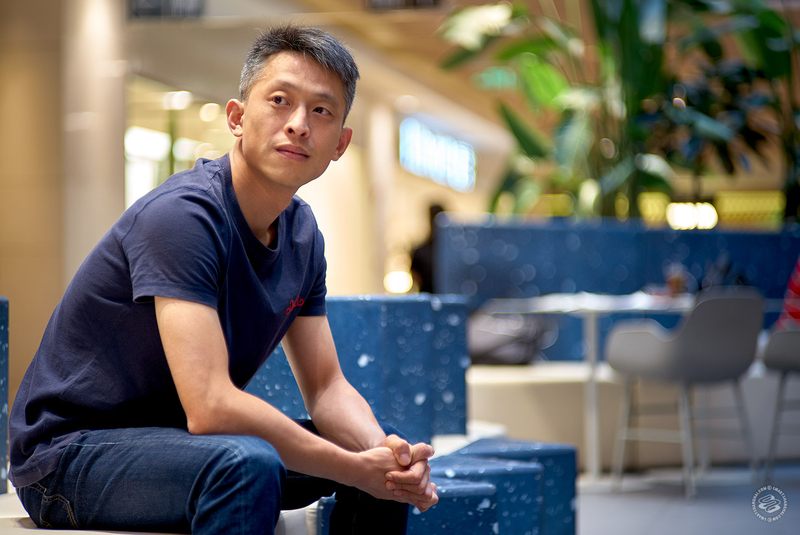 Originally from the trading capital of Yiwu, Zhejiang, he started his career as a testing engineer for Dell, before moving into project management and construction with a friend from Tongji University, and eventually into the coffee world. 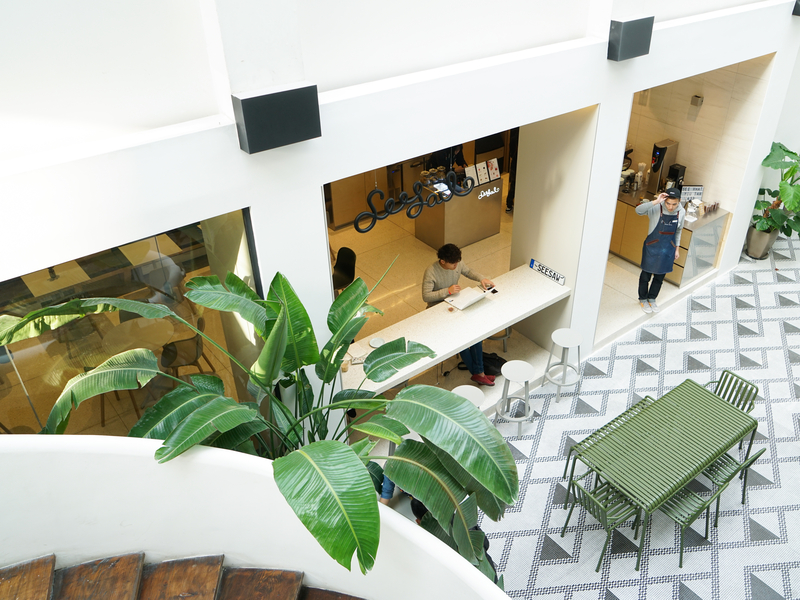 His brand, Seesaw Coffee, was born on Yuyuan Lu. After an initial investment from Horizon Capital, Seesaw secured a 45 million rmb round of investment from Hony Capital in June 2017, and has been on an expansion trajectory since, growing to 21 stores as of September 2018 and planning a total of 100 stores by the end of 2021. 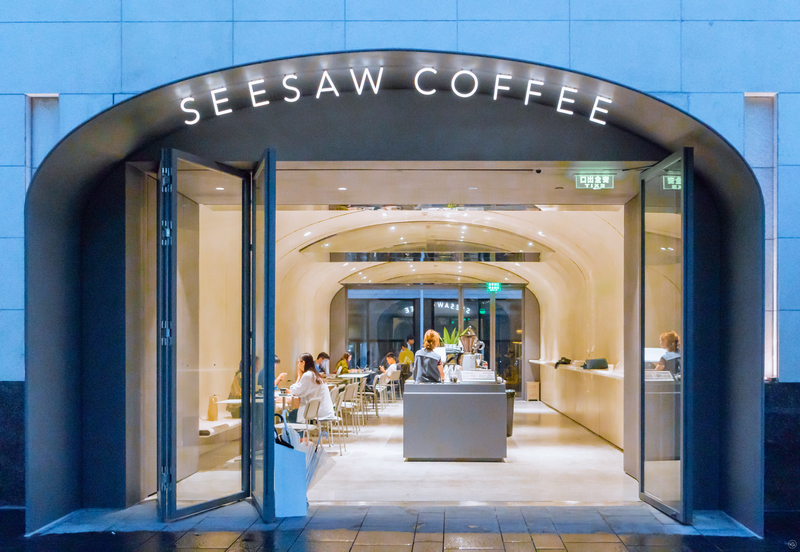 In the world of specialty coffee, which has been booming in Shanghai in the past three years, Seesaw Coffee is a leader. I sat down with Zong to hear how he achieved that. SmartShanghai: How did you move from IT to coffee? Tom Zong: In 2007, I had a chance to go to Yunnan to visit coffee farms. One of my friends had his own café in Jing’an Villa (now closed), part of the first wave of specialty coffee shops. He roasted his own beans and so was in touch with farms. At the time, I didn’t even drink coffee. I was thinking about trading green beans, doing a trading business, and I gradually realized how big of a space the coffee industry was. It was a great opportunity. I left Dell in 2009 and set up a project design and management company, and the next year started looking for another business. That’s when I started thinking about specialty coffee as a concept. It was around that time that Weibo came out. All of a sudden, there was all of this information about all kinds of topics from around the world. At the same time, specialty coffee was becoming big in cities like London, Melbourne, and Portland. So they sort of dovetailed. 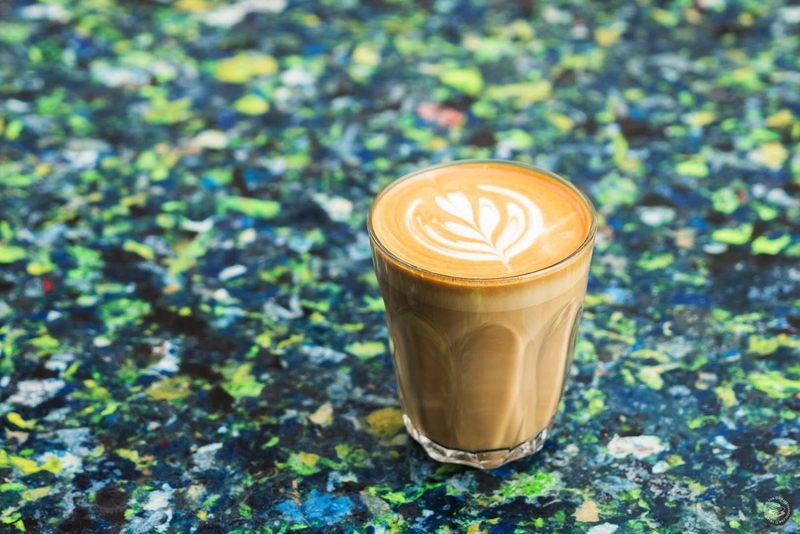 I began learning about specialty coffee, and I began gathering people around me who had come back from London and Melbourne and had worked in specialty coffee shops there, and we discussed how to do it in Shanghai. SmSh: What was the first step after that? Zong: We began preparing in March 2011. 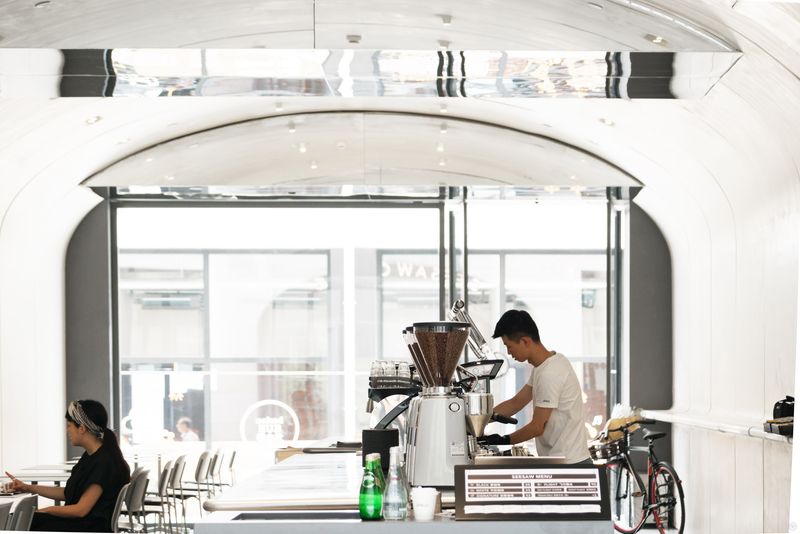 In April, I went to Seoul, and I saw how crazy the coffee scene was there. There were coffee shops everywhere, and big franchises, and I thought, wow, if this is what’s happening in Seoul or Tokyo, then this trend is definitely going to happen in Shanghai. There must be an opportunity. We spent more than a year preparing. Our first store opened in October 2012 on Yuyuan Lu. The second store – we tried a window store in Tianzifang, very small – failed. The third store was in a residential area. It failed. The fourth store was in an art gallery in Pudong. But no one came to the exhibitions, so it failed too. Then I opened in Yiwu. That store lasted two years. It didn’t make money; not so many people in Yiwu drink coffee. (Laughs) We had a long term business plan, but failure is failure. We learned a lot. SmSh: After so many small shops and so much failure, you decided to go into malls, and opened the first one here, in Reel. Zong: The number of stores grew organically in the first five years. We went from one to two to four but then in the sixth year, we got the venture capital investment, 45 million rmb, from Best Food (under Hony Capital), a big VC firm in China. At the time we had seven stores. Now we have 21, and in the next two and a half years, we’ll grow to 100 stores. Investors were really looking at opportunities in the consumer market and in the food and beverage space. They saw a very big opportunity here. And we already had some momentum. They saw our design, our comprehensive style, and that we were as good as any overseas brand. In the specialty coffee industry, we are world-class already. It doesn’t matter if it’s the bean or the cup, we go very deep into the whole process. We have very deep connections with the farmers. We help them to improve the quality of their beans. We pay them a higher price to help them get better technology so they can make more money. We bring their children to Shanghai to see how the coffee they grow is used here. They are just growing a plant; they don’t know where the value is. We roast by ourselves – our roast team has eight people – with beans from Yunnan, Costa Rica, Guatemala, Panama, Kenya. We’re very serious about coffee and the processes behind it, which is different from the traditional methods of big companies. Our coffee is not bitter, which is usually people’s first impression of coffee. With specialty coffee, it’s more like red wine. It has flavor, body, aroma. The same bean, with different techniques, comes out very differently. SmSh: The Seesaw shops are all different, in terms of design, and all quite light in feel. Is that because of your background in the design and construction world? Zong: Yes. Each shop is designed to match the character of the space. China has a lot of designers, but they don’t really respect design. Designers copy, interior designers copy. But because of my background, I’ve been copied a lot, so I really respect when designers have their own voice and don’t just copy someone else. There’s a phrase, I forget who said it, that “a franchise company doesn’t have to be a copy.” This idea is really interesting to me. It makes me want to try something new with each space, and have designers express their own ideas. SmSh: Are all these new stores going to be franchises or directly run? Zong: We will manage them ourselves. Our goal is not to become a specialty coffee franchise company. It’s to become a lifestyle company. Coffee is just a vehicle for that. It can express all kinds of things, from history to culture. When we started, we discovered a lot of really interesting young people who understood coffee and were good at it. We are a platform for them. They are willing to learn and willing to share, they always want to try something different, and they have a passion for coffee. You know, a lot of foreigners have said China doesn’t have it’s own coffee culture – and I think they are right. But I think we can slowly develop our own culture. We are still in the process of exploring what that is. In Chinese, specialty coffee is called jingpin coffee. That word implies luxury. So the definition is not right, the translation is not really correct. We want to correct that, to redefine that. 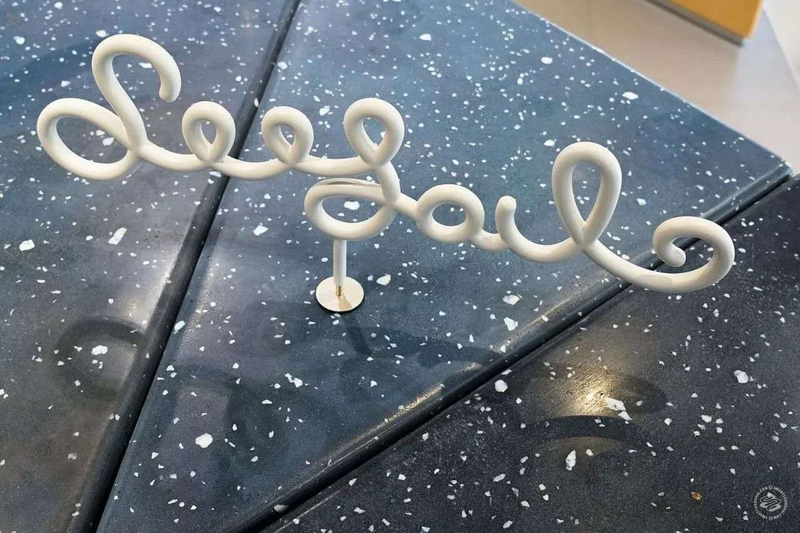 Specialty coffee should be playful. SmSh: Finally, can we talk about the 100-ton gorilla in the market, Starbucks? Do you consider them a competitor? Zong: We don’t consider them a competitor. We have 21 stores; they have 30,000. I think their influence is strong, and their changes are influential on the market, but they’re not a direct competitor. We study them from a business perspective though. They are such a huge company but still so flexible. When the specialty coffee concept first came out, they started to adjust their business model. They brought out the Reserve concept, they did the Roastery. They wanted to show their muscle – I’m still there, the coffee giant! – and from that angle, they did really great. We are getting ready to open another store on Nanjing Xi Lu, and we already have several along the street. Some people ask, isn’t that too close? But I can turn that question around: do you know how many Starbucks there are just in the Reel building? Three. Three! One on the third floor, one on the ground floor and one in the basement food court. So, there’s plenty of room for us.